Where Did Colorado Get Its Name? Have you ever wondered where in the world Colorado got its name? For some people, how Colorado got its name is old news. For others who haven't had a Colorado history class for 40 years, it's at least worth some discussion. 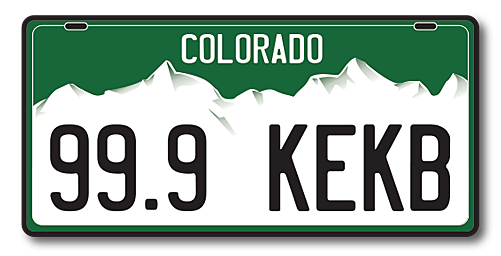 So, where did Colorado get its name? Well, it depends on who you ask. For starters, we can agree on the fact that Colorado is Spanish for "colored red." Reference.com says Colorado is named after the Colorado river, which was named because of the reddish hue of the silt it carries from the mountains. However, Red Rock Canyon Open Space disputes the notion that our state was named after the Colorado River saying that when the Colorado Territory was established, the Colorado River as we know it today, was still called the Grand River. According to the Colorado State University Library archives, the Grand River did not become the Colorado River until a resolution was passed in 1921, 45 years after Colorado became a state. The website references a book by Dorothy Aldridge "Historic Colorado City" which says the state got its name from Colorado City, which later became known as Colorado Springs. The book quotes one of the founders of Colorado City as saying the name comes from its proximity to red rocks. Multiple sources agree that Spanish explorers were the first to use the term Colorado to describe the territory, and the name stuck. It makes a lot of sense. Think about it the next time you're traveling I-70 and you notice the red sandstone and clay that climbs above the highway around Glenwood Springs, or as you gaze at the red rocks near Morrison as you approach Denver from the west.